One of Old Hollywood’s greats, Juanita Moore, has passed away at age 99. However, her memory will continue to live on for many years to come. 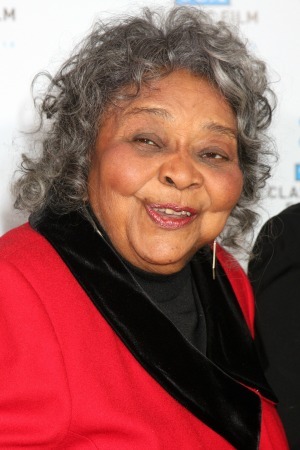 The legend that was Juanita Moore has sadly come to an end as the Oscar-nominated actress has passed away at age 99. The talented star helped change the film industry in a positive way. She was celebrated for becoming only the fifth African-American performer to be nominated for an Academy Award in 1959 for her outstanding performance as Annie Johnson in the film Imitation of Life. The Douglas Sirk-directed film tells the story of the friendship between a struggling white actress and her black housekeeper who are both trying to make a living and raise their daughters as single mothers. The news of Moore’s death was confirmed by her grandson, actor Kirk Kelleykahn, who said Moore had collapsed and passed away in her home in Los Angeles, California, on New Year’s Day. Moore, a humble woman, told the Los Angeles Times in a 1967 interview that her Oscar nomination did not help boost her career. “The Oscar prestige was fine, but I worked more before I was nominated,” she said. She made an impressive appearance in many films, including The Girl Can’t Help It, The Singing Nun and The Kid. Moore was also praised for her stage work. Starting out with the Ebony Showcase Theatre in Los Angeles in the 1950s, she quickly became a valuable and talented stage actress. One of her most memorable performances was in 1965 when she starred in James Baldwin’s play The Amen Corner. Our thoughts are with Moore’s family and friends at this time. Her Hollywood star has now burned out, but she will continue to live on in many hearts.